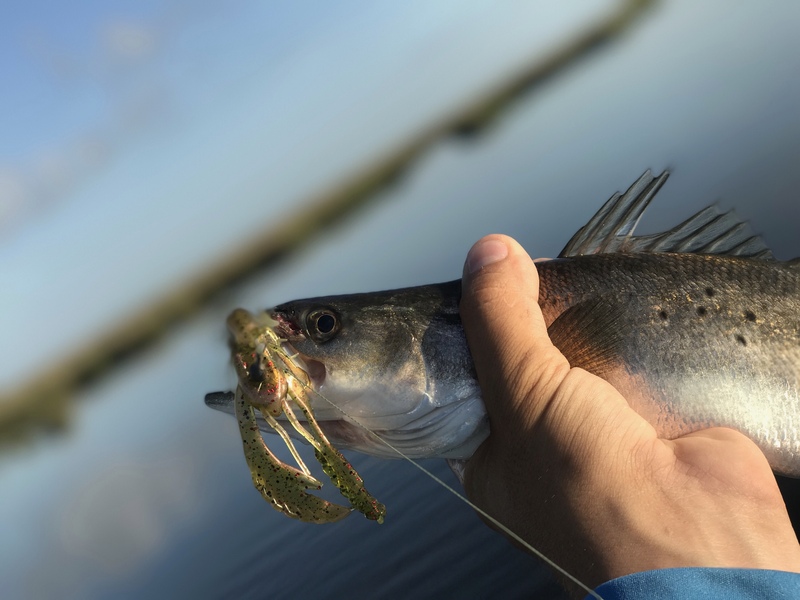 While fishing for redfish with a Crackin’ Craw, this speckled trout decided to eat, too. If you want to catch bass or redfish, you better get crackin’. 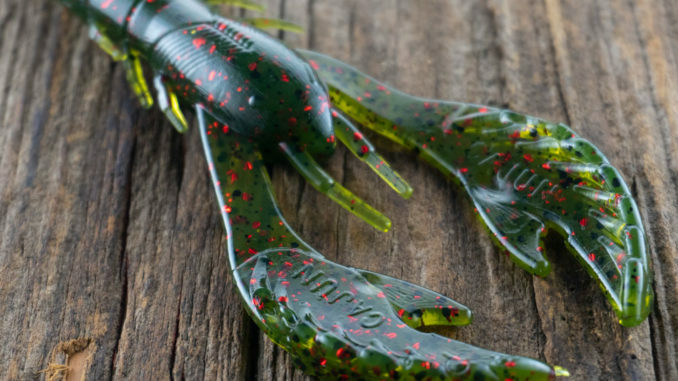 Artificial lure manufacturer Zach Dubois, who specializes in soft plastics, has watched the fairly new Crackin’ Craw — a crawfish imitation — take the bass fishing world by storm. And to his pleasant surprise, it’s also become a go-to bait for redfish along the coast. “It’s been selling all year long for bass fishing,” Dubois said, noting that Living the Dream bass fishing guide Matt Loetscher used the Crackin’ Craw as a jig trailer while fishing with Harold Allen in January. They had a winning sack of 28.74 pounds to win the Toledo Bend Texas Team Trail Tournament one weekend, and the following weekend they had 31.72 pounds to finish second in a Bass Champs tournament at Lake Sam Rayburn in Texas. Realizing that, Dubois stirred the color pot and came up with some shades known to be loved by redfish, namely the blue crab, which is dark green with a blue swirl to it, and rouge candy — a clear color mixed with gold and red flakes. Naturally, some of the bass colors work, too, including white pearl, blue sapphire, june bug and june bug red, he said. 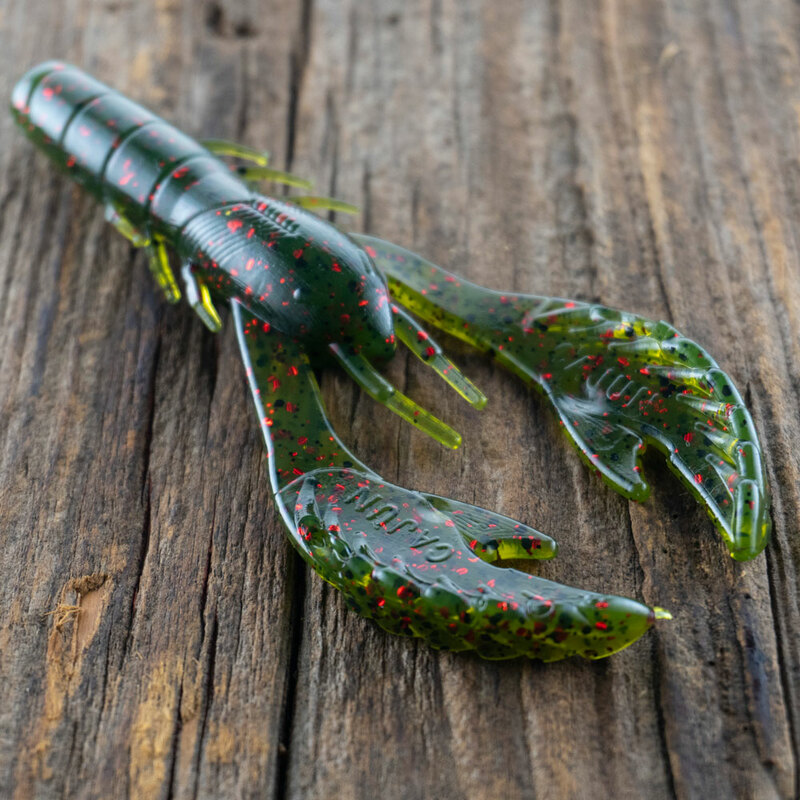 The Cajun Lures Crackin’ Craw hit the market in November, and its popularity has increased with each succeeding month. Dubois had a soft plastic crawfish imitation in the lineup for Cajun Lures called the Poo Doo Craw with a thick, solid body. But he wanted to make a product that had even more action. “I was kind of looking for a new design going forward, something a little different,” he said. Josh Clark of Jackson, Michigan, who made the mold for Cajun Lures’ highly successful Cooyon Croaker frog, answered the call and sent him a mold for what eventually would become the Crackin’ Craw. After some tweaking, the Crackin’ Craw took shape and was ready to fish. 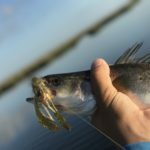 The salt-free soft plastic’s body is about 3 inches long and the pincers are thinner, have a flared design and are raised at the ends to give more action. And he quickly learned there was lagniappe with the claws. They stand up when attached to a jig as a soft plastic trailer. Videos on his website demonstrate the claws in action. “It’s pretty neat,” he said. When retrieved at a tantalizing pace for redfish, the claws “swim” it through the water. The 26-year-old University of Louisiana graduate who has a degree in industrial design tried it out himself on the saltwater scene. Dubois said redfish fishermen who are sight-fishing and kayak-fishing throw it a couple different ways, but using it as a slowly retrieved swimbait is very effective. That technique worked for him recently when he fished the marsh around Houma with Dillon Hymel of Morgan City. It was Dubois’ first time using one of his bass creations for redfish — and he caught five. “I was excited to do that,” he said, noting he was using a Lazy Man hook. Other anglers Texas-rig it and peg a 1/8-ounce weight on the nose. It got the name Crackin’ Craw after he sent some of the first models to a friend, Lucas Ragusa of Gonzales, who said when he set the hook on bass, it “was like crackin’ them on the head,” Dubois said. 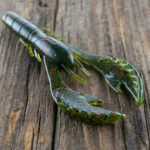 For more information on the Crackin’ Craw and other Cajun Lures products, go to www.cajunlures.com. 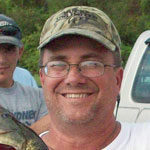 Don Shoopman fishes for freshwater and saltwater species mostly in and around the Atchafalaya Basin and Vermilion Bay. He moved to Louisiana in 1976, and he and his wife June live in New Iberia. They have two grown sons.